When attorneys need help understanding the Federal Motor Carrier Safety Regulations or need to document vehicle damage involving commercial vehicles, we are there to help. There are new regulations coming out every couple of months and you need to stay up on the changes. We have over 30 years experience in the trucking industry and it has changed very much in this period of time. We offer liability Investigations to trucking companies and Insurance companies. 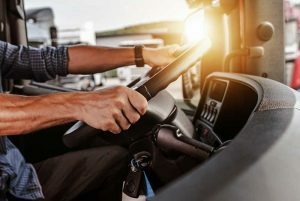 It is crucial that a profile is built of the individuals involved in an accident or incident involving a commercial vehicle to prevent fraud and additional liability. A lot of this can be prevented by the driver being diligent in taking good pictures, talking to witnesses and writing out what happened while it is still fresh in his or her memory. Today with dash cams and all the other electronics on these trucks, a story can be told on the part of the driver, everything from the drivers’ reaction time to whether he or she reacted correctly. Today distracted driving is one of the main causes of accidents, even with laws preventing texting and cell phone use many people still have a rough time understanding the seriousness of their acts. The inward facing dash cams for truckers has really helped with these types of distractions. We are here to help you. Feel free to contact us for any help with these or any problems concerning commercial vehicles.